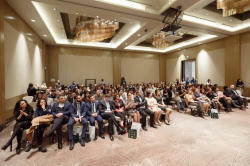 Wowoman, women’s personal and professional development platform gaining huge popularity in Azerbaijan, has celebrated its second year anniversary in Fairmont Baku Hotel. 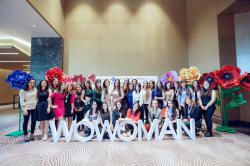 The event briefed the participants about Wowoman’s achievements in 2016 and awarded the organizations supporting the project. 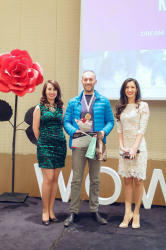 Barama Innovation and Entrepreneurship Center of Azercell Telecom LLC was announced one of the best partners of WoWoman platform over the past year. It was noted that WoWoman platform conducted "TechFall 2016 Hackathon" project together with Barama Center last year. The programmers developed a new mobile application for 36 hours without falling asleep to compete in Hackthon format under the project. 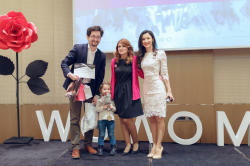 “Tech-Tech Khanım”, one of the most successful projects by WoWoman platform last year, was also held with the organizational support of Barama Innovation and Entrepreneurship Center. The project involved various programs and meetings to inform women in IT field about basic knowledge about IT, as well as LINUX, CISCO and ORACLE. Over 20 events were carried out in the program, receiving more than 1500 applications. “WoWenture” entrepreneurship program and HR Academy for female HR professionals were also started last year. Aimed to support personal and professional development of women, Wowoman organized more than 100 events and 15 long-term programs over last 2 years bringing together more than 6500 participants, and received 17 500 applications. The project received several international awards and currently has representative offices in a number of countries abroad. 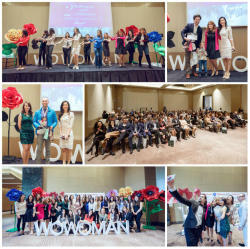 In the third year of its operation, WoWoman intends to carry out the projects like “WoWenture”, “HR Academy”, “Events” and “Express yourself” and establish its platforms in 20 more countries. 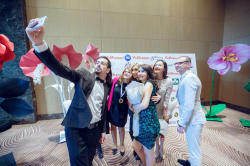 Project management software "Pro in Projects", movie making software “WoWideo” and "WoWoman in Me" are also among projects to be launched this year. The leader of the mobile communication industry of Azerbaijan and the biggest investor in the non-oil sector Azercell Telecom LLC was founded in 1996. With 48% share of Azerbaijan’s mobile market Azercell’s network covers 80% of the territory and 99,8% of population of the country. Currently, 4,5 million subscribers choose Azercell services. Azercell has pioneered an important number of innovations in Azerbaijan, including GSM technology, advance payment system, 24/7 Customer Care, online customer services, GPRS/EDGE, M2M, MobilBank, one-stop- shop service offices Azercell Express, mobile e-service “ASAN signature”, etc. Azercell deployed first 4G – LTE services in Azerbaijan in 2012. According to the results of mobile network quality surveys of Global Wireless Solutions company and international systems specialized in wireless coverage mapping such as “Opensignal” and “Testmy.net”, Azercell’s network demonstrated the best results among the mobile operators of Azerbaijan. #SHEroes - Each woman is a hero!